The Invisible Hill is a road cycling website with a personal touch. On the site you can follow the journey of an amateur road cyclist, the training, racing and everyday life around two wheels. Every now and then you will also find interesting cycling related interviews, stories and reviews of cycling accessories and gadgets. You can browse the photo gallery to find pictures taken by me, read the journal or browse the routes I've ridden in Finland and abroad. The Invisible Hill also follow the Fincycling project from time to time. Pictures, stories, news and interviews with both cyclists and the names behind the project will be released here. This is what The Invisible Hill is all about, I hope you enjoy your stay. Welcome to my world of cycling! Pictures from special events, races and more. Timelapse of a ride around lake kakskerta and back to the Aura river. 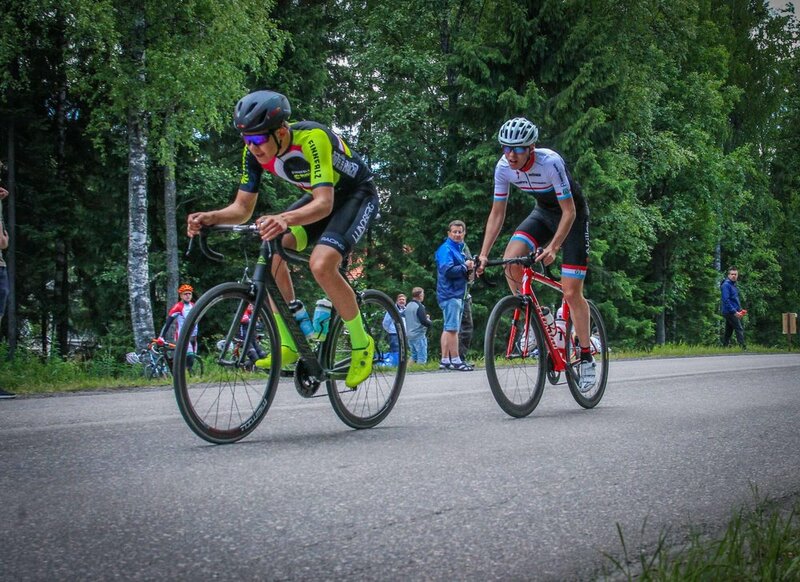 Footage from the Trofeo Karlsberg 2015 stage 1 feed zone (Team Finland). A sneak peek in the Fincycling team car with Charly Wegelius. I've learned a lot about cycling and I learned a lot from cycling. You can’t explain cycling, you've gotta feel it. You live it, you breathe it you feel it with all your senses. It’s about overcoming your pain, your doubts your fears and desperation. It’s about taking that next pedal stroke. It’s about feeling, seeing and visioning you completing whatever you seek to complete, whether it’s holding on to that wheel in front of you or being first on top of that hill. You need to feel it, that second you complete whatever it is you want to win, you need to see it, feel it, long before it’s done. It’s about determination. It’s about believing you can do it. It’s something you are never able to explain to someone who doesn't share your passion. It is inside of you. It’s imagining, believing, dreaming, picturing, feeling, being defeated and getting back up, defeating, executing, breathing, pushing your limits, finding yourself, your fears and winning them. It’s going to hurt.